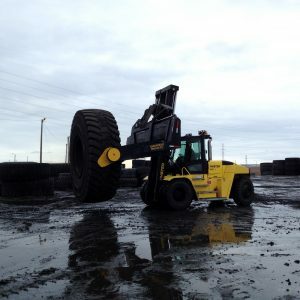 The TH35 is the highest weight capacity forklift tyre handler available through Greenfield Handlers. 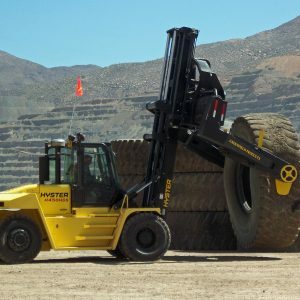 This tyre handler is capable of handling the largest tyres made and will handle them with ease even those equipped with chains. As a result of the partnership between Hyster and Greenfield the TH35 is the most powerful, versatile, and rugged tyre handler you can find. 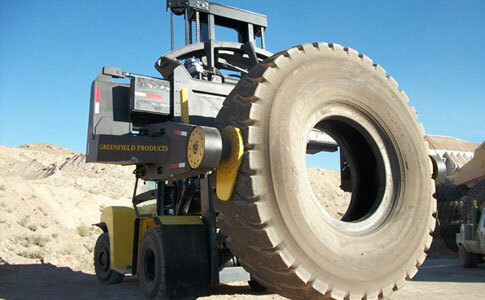 The TH35 tyre handler is available right now through Greenfield Handlers. Need more information about the TH35? Shin Pacific Trading buys, sells and rents late-model, low-hour mining and heavy construction equipment. 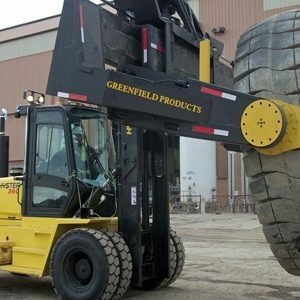 We are an established global used equipment dealer with a long history of doing business in a professional manner. Contact us today to find out how we can assist you. Click here to view the latest exchange rates from the Reserve Bank of Australia.